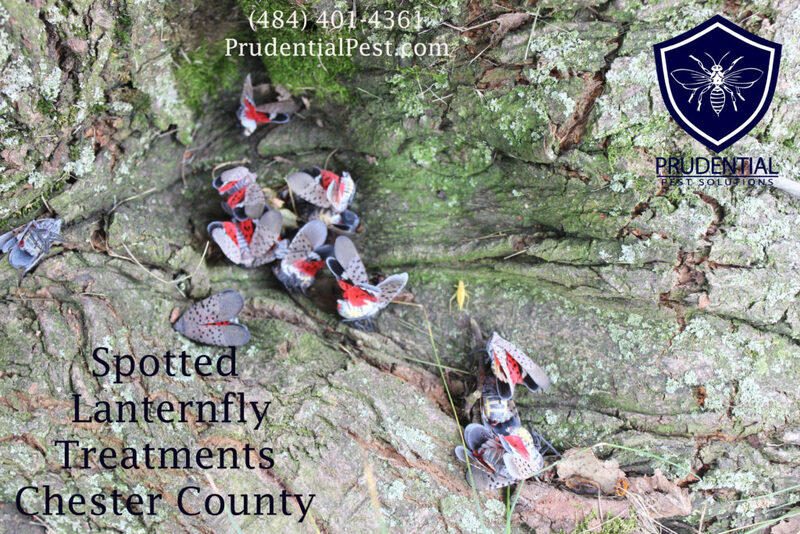 We offer a full range of Spotted Lanternfly treatments Chester County. 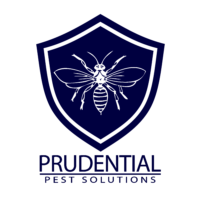 Prudential Pest Solutions are experts in Spotted Lanternfly treatments. Although not dangerous to humans or pets, the Spotted Lanternfly is very destructive to agriculture and ornamental trees. 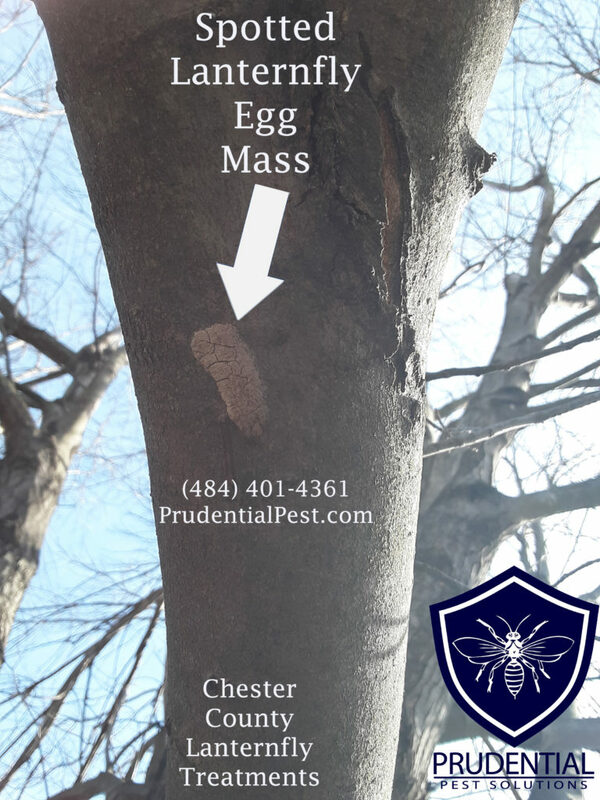 Our Chester County clients know that when they need to protect their trees and property, Prudential Pest Solutions are the ones to call. Since its introduction into Chester County, the Spotted Lanternfly population has grown. 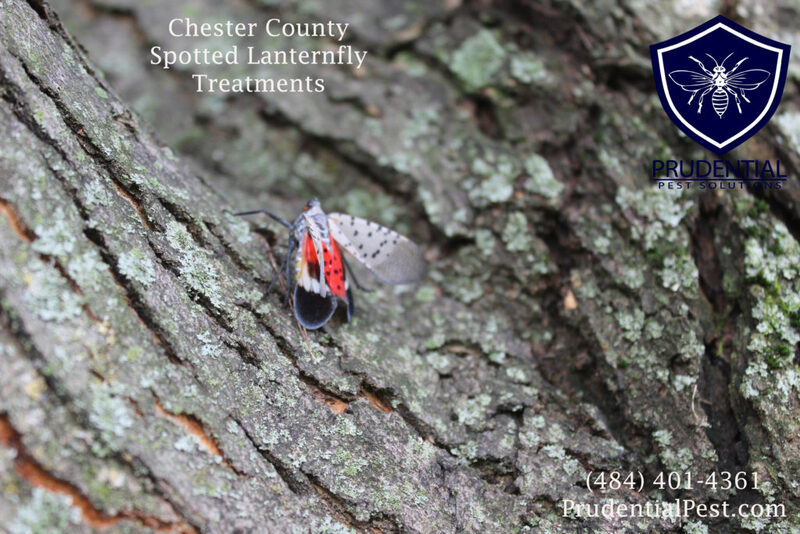 Residents should be able to identify the Spotted Lanternfly in any of its life stages. We utilize a combination approach to treating and preventing this invasive species. Depending on time of year, and the species of tree, we can give you an affordable, professional, and effective treatment. 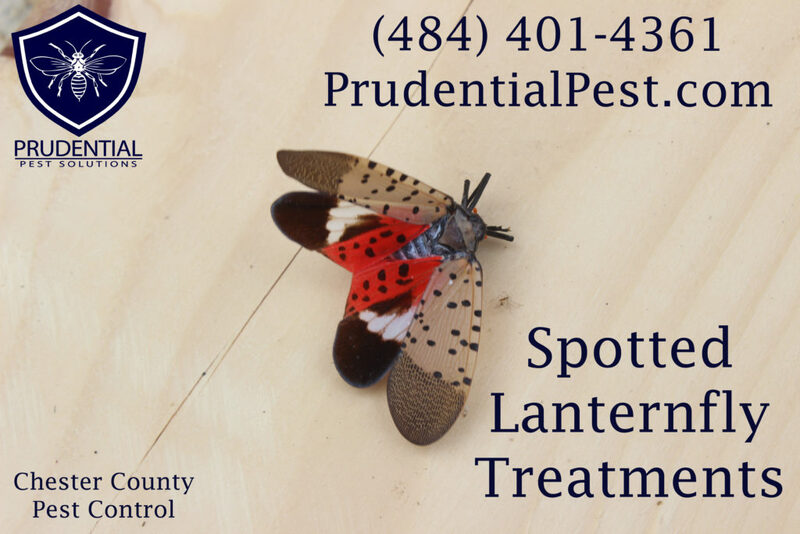 Our Spotted Lanternfly treatments are designed to be effective and fast acting. Don’t let your favorite tree fall victim to this invasive species. Call or send us a message today and we’ll do the rest!